Make a beeline for one of the city’s best waterfront hotels and settle in for a drink and some top-notch seafood at Fairmont Pacific Rim’s Lobby Lounge and RawBar. 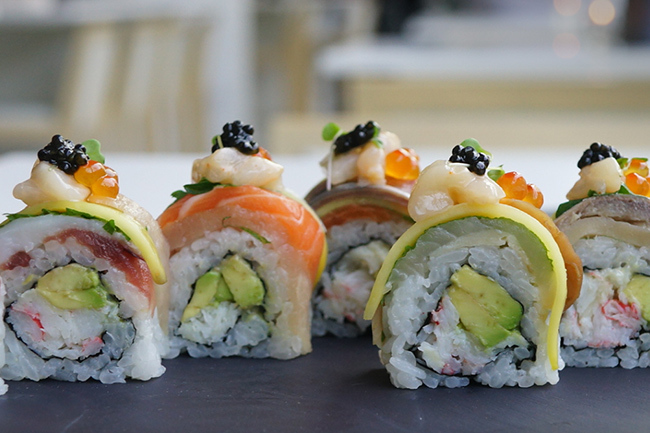 Open from lunch until late The RawBar features signature oishii items, as well as omakase. Diners can expect a progression of well thought out dishes with unique presentation, daily features, and Ocean Wise certified fish.